What's New in this Lightroom Release > Lightroom Classic Updates > What’s New in Lightroom CC 2015.10.1 / 6.10.1? FIXED – Issue causing color cast on images from some Fujifilm X series cameras shot in CH/CL modes. FIXED – Issue where images taken on the Fujifilm GFX 50s with top 3 extended ISOs appear over exposed. FIXED – Issue where some images converted to DNG from the Hasselblad H6 contained a color cast. FIXED – Issue with Hasselblad X1D images losing highlight details at high ISOs. There’s a known issue with an AMD driver version 17.4.4, which is still in progress. Thanks for guidance! Fingers crossed to see LR working again! Hello I have just updated my LR 6 with the latest update on my mac. All my images appear to have gone missing. I gather that the update changed the catalog system in some way. But I cannot even see my external drives now in finder. I think the timing’s just a coincidence, as the catalog format doesn’t change in dot updates. I bet your catalog’s stored on the external drive, which is why your photos appear to have gone missing. To fix it – you need to get your drives mounted again. If the OS can’t see them, nor can Lightroom. Reboot may do the trick. If not, talk to Apple. When the drives are showing up, then you can open Lightroom, go to File menu > Open Recent and your correct catalog should be listed there. After I updated Bridge crashed when I tried to open it from my Mac Menu Bar (Early 2013 Retina Mac Book Pro, macOS Sierra, 10.12.5) . I tried again. It crashed again. Ok….. Next I opened the CC application and I clicked Open Bridge. Bridge opened with no errors. Now it opens fine using the menu Bar. I read one of your early Lightroom forum posts from 2009 (my iMac vintage) and was hoping you might be able to share a bit of your erudition with me. I am now running OS 10.12.3 and I take pictures with a Nikon D200, Coolpix P7100 and Hasselblad 500C. I have Photoshop Elements 10, but I do most of my editing with Capture NX2 which I really love. I have not mastered the intricacies of Photoshop Elements and am not interested in excessive manipulations. In fact I am just now learning how to use a layer! I have been shooting mostly in jpeg fine and have been perfectly happy with the results. I am just now starting a course on digital printing so no doubt the instructor will insist we work with NEF files. Which version of Lightroom would you suggest I use that will work well with my computer and other software? At the moment plunking down $150 for the latest version seems a bit excessive. I did just buy the Distagon 50mm lens for the Hasselblad so that I now have the four basic prime lenses. In other words what are the advantages of using lightroom for cataloging purposes? I use View NX 2 as my browser and am quite content with it. Perhaps one day I may get a D300 or a Leica. 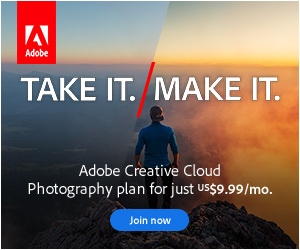 Adobe no longer sells older versions of Lightroom. I’d suggest trying the trial of the latest Lightroom version, and then considering the subscription rather than buying LR6 outright. There’s a feature in the newest version that lets you use “smart previews” for editing, and while they take a bit of time to build (when you’re not using the computer), they do help with performance on older machines when you’re actually editing. In terms of advantages, there are two main reasons to strongly consider Lightroom – it’s the most popular option, so there’s loads of support out there, and it’s a one-stop shop, so it’ll have almost all of your photographic editing and cataloguing needs in a single program, regardless of which camera you use. Thanks for your response. I know a lot of photographers, including the instructor for the digital printing class I am taking like light room for it’s convenience and ease of editing, but there is no such thing these days as a “one stop shop” as everyone comes to it with their pre exisisting software and camera hardware. For example, Nikon View 2 provides similar cataloguing and image adjustment tools, with the exception of the soft healing brush which can easily be done elsewhere. Lightroom’s main strengths seems to be in the final printing phase, with the ease in which you can adjust the layout. I’m not yet ready to give up my Nikon software, but I am certainly looking forward to adding Lightroom to my arsenal. I have bought a slightly older version (5.7.10) for a reasonable price (25 pounds via download) and will give you my further thoughts once I have it installed and have delved into it a bit. With this version, my custom date import no longer works. Anyone else having that issue? OMGGGGG! You’re amazing! I just changed the file name to the new version (TranslatedStrings_Lr_en_US.txt) and it worked! Thank you!! !